What to do with the leftover corned beef and potatoes from Saint Paddy’s? You could eat it every day for the next three days or you could make delicious corned beef hash with eggs. Corned beef and cabbage is the St. Patrick’s Day staple. Growing up in an Irish family, this was always our tradition every St. Paddy’s Day. But what to do with the leftovers? 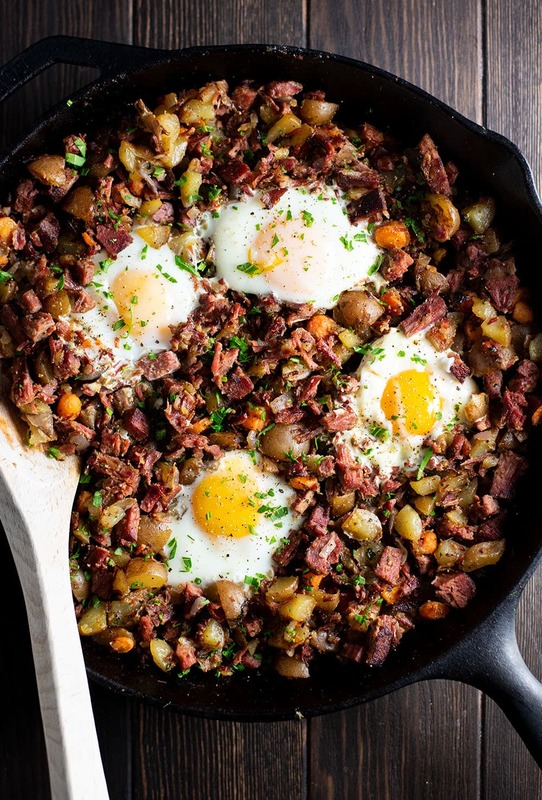 You could eat it every day for the next three days or you could make corned beef hash. 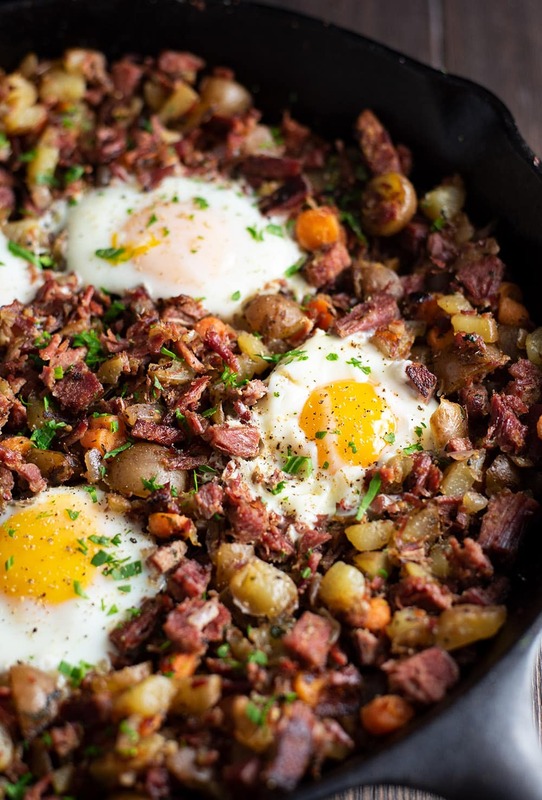 You should make corned beef hash. 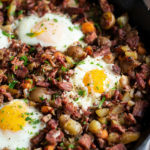 Corned beef hash and eggs is the perfect Irish brunch entrée to serve up with an Irish coffee or Guinness. Crispy sauteed potatoes mixed with corned beef and topped with runny eggs. My mom is the corned beef expert. She taught me how to make this a few years ago and I’ve been making it ever since with my own personal spin. We use eye of round corned beef. It’s leaner and doesn’t have a layer of fat around the outside like the alternate cuts. I combine leftover corned beef cut into small bite sized pieces along with chopped carrots and potatoes and fry in a skillet with onions, olive oil, garlic powder, paprika, salt and pepper. The best part is the baked egg topping. Once you’re done making the hash, simply break four eggs over the hash and bake for 10 minutes for perfectly gooey egg yolks. 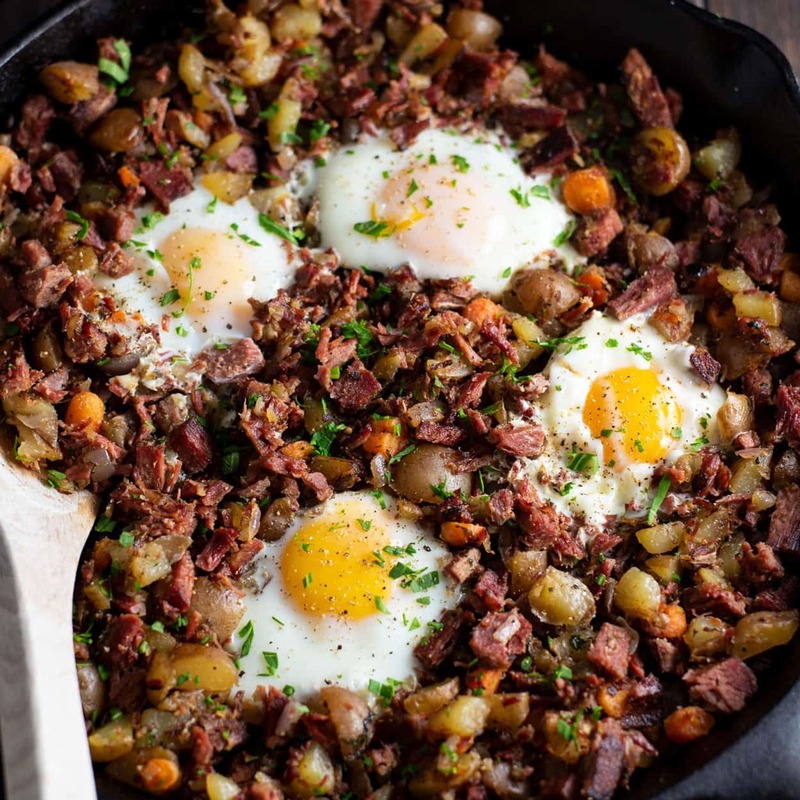 I really love corned beef, but honestly I look forward to making hash EVERY year after Saint Paddy’s Day for than ANYTHING. Heat 2 tablespoons of oil on medium heat in a 12 inch cast iron skillet. Add onions, let simmer for 1 minute. Add potatoes, corned beef, carrots and spices. Let saute until potatoes are golden and begin to crisp, about 10 minutes. Season liberally with salt and pepper. create four small wells in the hash using the back of a spoon. Crack the eggs into the wells and bake for 10 minutes or until eggs reach desired level of doneness. 10 minutes will render runny yokes. This recipe is intended to be made with previously cooked corned beef, potatoes and carrots leftover from Saint Patrick’s Day! Looks beautiful! So glad you continue to enjoy this recipe! Love your blog!!! Awesome! My husband loves hash and will try this recipe! Keep these recipes coming! 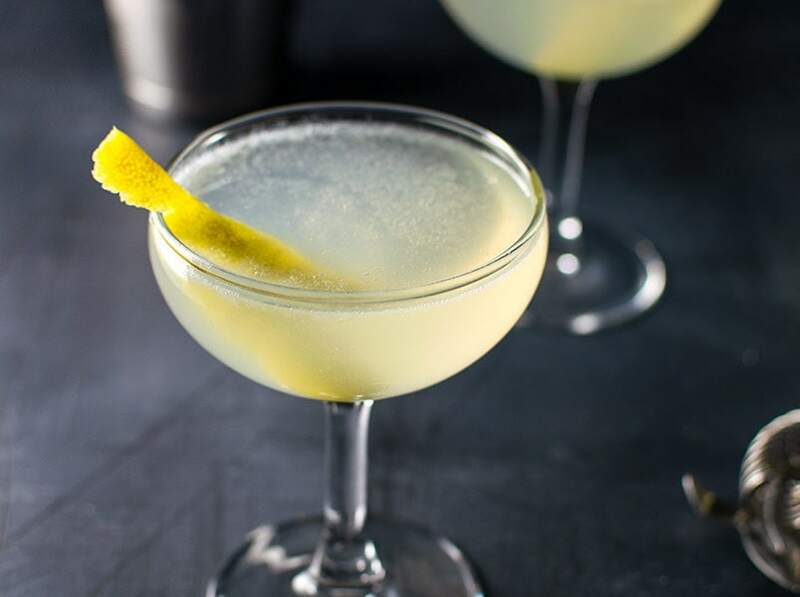 Very good love Kitchen Swagger blog. It’s a must try – thank you very much, Kathy! This looks amazing. How is it I don’t like corned beef but I love corned beef hash? I will go out of my way to find homemade corned beef hash for breakfast ! haha I’m not sure – I’m guessing the potatoes really help change the dish. I can’t get enough of it either. Outstanding, simple way to use up left over corned beef dinner! 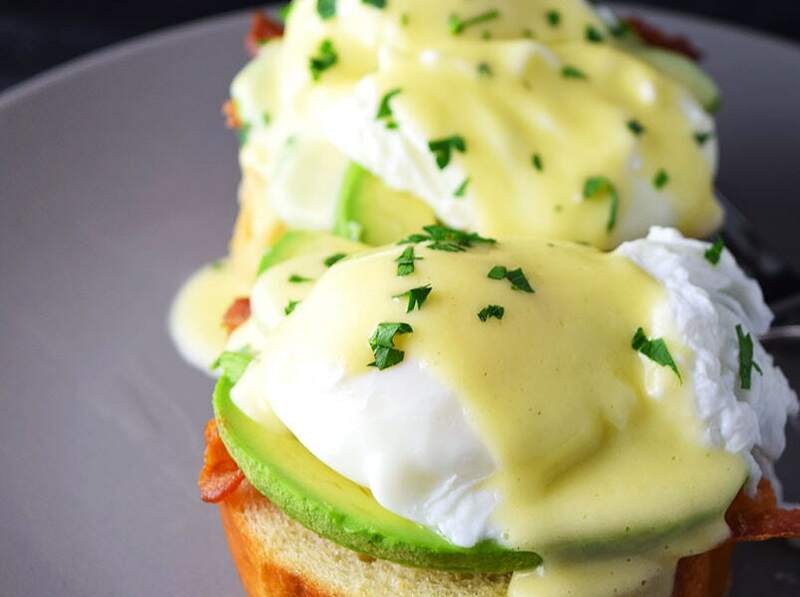 I did butter basted eggs instead of poached which gave extra ease and flavor to this classic. 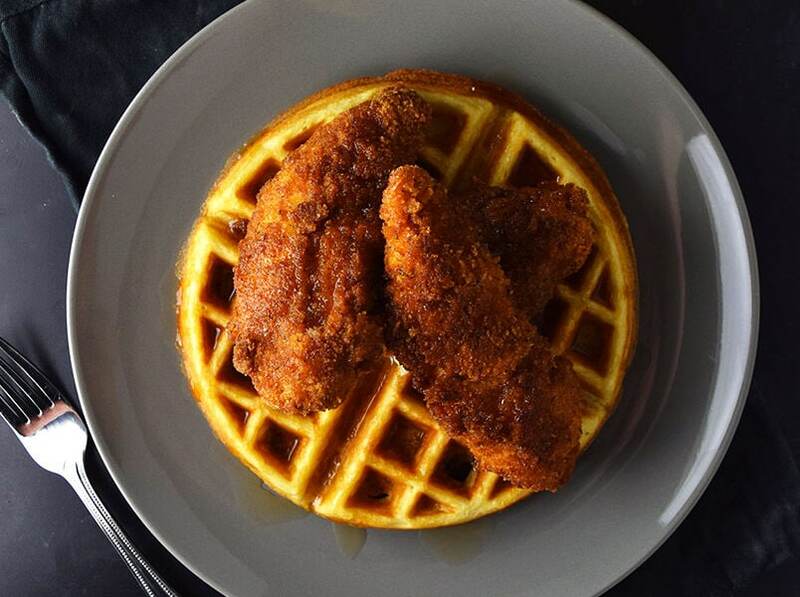 No need to hit the local diner.